There is a misconception that men only go to yoga class to meet women, but believe it or not, some of us do go to yoga to get stronger and more flexible. Not to mention, a lot of us actually like yoga! All that said, it's hard to find yoga pants for men, so we're often stuck going to our class wearing basketball shorts that get in the way or bulky sweatpants that make us feel like we're being baked alive. Clearly, clothing companies market heavily towards women. In regards to athletic clothing, men usually get t-shirts, basketball shorts, and track pants. I can't just walk into a sporting goods store and find yoga pants for men that I would actually buy, let alone wear. While that seems like a pretty pathetic first-world problem to have, it is frustrating practicing in baggy shorts that make asana transitions difficult. While women are going through an entire practice with perfectly fitting pants, us men are pulling up our shorts or tightening the drawstring on our sweats every time we move. Pants made specifically for yoga students are far better than any gym clothes you have lying on the floor at home, so yes, they are worth the investment. The length is up to you as an individual. If you get incredibly hot in a yoga class, then mens yoga shorts are going to fit your needs better than actual pants. I really like pants for yin and restorative classes because poses are slow and held for extended periods of time. As for shorts, I have a word of warning for you: baggy shorts are going to be quite...exposing in certain poses, especially kicking up into inversions and seated wide-legged forward folds. I remember going to one of my first classes wearing polyester track pants. The other students were quietly slipping from one pose to the next, marking their movements with gentle rustling. I, on the other hand, was making so much noise it sounded like I was unfolding a parachute. Clothes for yoga are made with soft fabrics. That's great for comfort, but it's also essential in not creating a cacophony of noise. Ask any woman and they'll tell you that the waist of their yoga pants is one of the most important features. When you start practicing yoga regularly, especially if you take a 90-minute class, you're going to realize the ribbed elastic waistband of most athletic clothes does nothing but chafe and pinch. We've gone over the three important factors in choosing pants (material, length, and waist), but picking the right clothes positively impacts your practice. Much like wearing the wrong shoes while running, the wrong pants during certain types of yoga will put a huge damper on your practice. If you take a hot or Bikram yoga class, don't wear cotton. Of course, you'll be more comfortable in shorts, but I don't recommend cotton unless you want to be able to wring your shorts out afterward. When you step into a vinyasa flow class, you won't see any female students wearing flared pants. Having long, loose cuffs on your pants will impede transitions from down dog to standing poses. Stick to close-fitting shorts or pants with that fit tightly around the ankle so you aren't tripping through class. Wear whatever you want in yin or restorative classes. You'll want a pair of pants with a comfortable waistband since you could be holding certain poses for more than five minutes, and you don't want the waist slicing into your middle. Yes, I did the dirty work for you guys so you didn't have to explain to your friends why you have a collection of yoga pants. This is a list of my top five favorite pants or shorts. I mention the things I liked about them (like the cost of some of these! Wow! ), as well as the things I didn't like. PREMIUM QUALITY: The Yoga Crow Swerve Shorts are not your run of the mill cheap yoga/cross training shorts. These shorts are made with finest performance fabrics to provide the ultimate in flexibility, moisture wicking technology, and 4-way stretchability to withstand any position during the sweatiest of workouts. MAXIMUM COMFORT: These shorts are lined with a non-abrasive secure boxer brief that keeps you focused on your practice, not your modesty. The outer material is soft and flexible and moves with your body while the seams and waistband are flat allowing for a no bunch, no fuss practice. 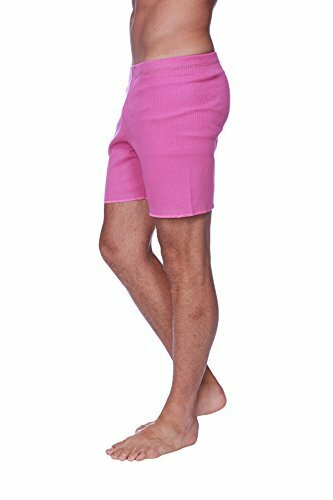 These shorts have a sewn-in liner so no matter how sweaty the fabric gets, they won't turn into see-through shorts. Best of all, the liner has an added antimicrobial agent. The legs are fitted just enough so the shorts don't slide down the legs in inversions. This seems to be a rarity in yoga pants: pockets! Yes, these pants have pockets, and they're deep enough for your wallet, keys, phone, and whatever else you need to drop in there. The fabric is thick enough I don't have to worry about see through pants, but I don't feel like I'm being weighed down by heavy fabric when I start getting really hot and tired. Even though they were designed for yoga, they look like regular gym shorts. I didn't mind going out to dinner after class in these. This a small and very new company, so it was difficult for me to order. Their website was under construction so I had to order through a big-box store their product is sold through. You have plenty of color options--but only if you like gray or black. You're out of luck if you want navy or any other colors. These pants are fitted around the legs, including the ankles, so you can wear them in a fast-paced class without tripping over any excess fabric. Despite being fitted around the legs, the pants are still loose around the hips and groin. These definitely aren't like men's running tights where you have to wear shorts over the top to avoid showing every aspect of your lower body. The 92% cotton/8% spandex combination makes the pants soft but still stretchy enough that you have plenty of give and stretch in the waist, hips, and thighs. I found the overall fit and style to be something I'd wear to yoga, around the house, or to bed, but not to the gym or coffee shop. We like our pockets! These pants are pocket free which is a bit of a hassle if you stuff your keys and phone into your pants after class is over. Because of the cut, I wouldn't wear these outside of the house except to go to yoga. They definitely look like yoga pants, and unlike women, we can't get away with wearing our yoga pants wherever we go. 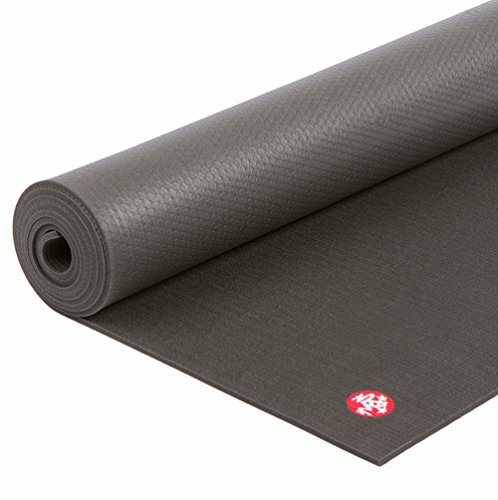 Lululemon's special Luon fabric is one of the industry's leading materials and is used only be Lululemon. Luon isn't just known for its superior ability to keep the sweat off your body; it stretches in four different directions for the ultimate stretch. 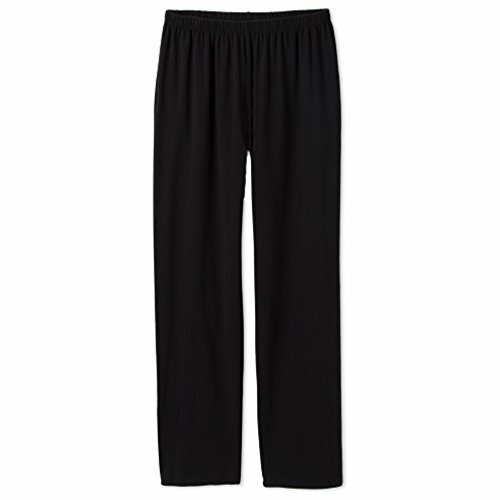 The pants are tailored to sit right at the waist for easy movement. The crotch of the pants is loose so you don't need to feel self-conscious. The legs are tapered, making this the ideal pant for any type of yoga. These are pants you'll feel comfortable wearing to yoga, the gym, or the store. They don't scream "yoga pants" and simply look like gym clothes that actually fit you well. A waist pocket for your keys or a smaller smartphone make these accessible for the gym or even running. The inseam is only 28", so if you are quite tall, the pants won't fit you well unless you're willing to wear them like jogger-style pants. The only pocket on the pants is the small one for keys on the double waist. Since these are pants that I'd actually wear outside of yoga class, it would be nice to have a pocket for my wallet and keys. Your options for color are quite limited. I hope you like black. If you're thickly built, I would imagine the thin fabric would highlight every aspect of your lower body, so I'd recommend these pants for slimmer men. Lululemon for men is just as expensive as it is for women; these pants will cost you a cool $98. 100% Made in USA! & always FREE shipping! NO price increase in 4 years!! See Product Description (not hyperlink above) for SIZE guide. NO drawcrod - eyelets are aesthetic only. Since these are "small" shorts in comparison to most gym shorts, they make up for their lack of fabric in a great length. The shorts hit me just above the knees, so I felt like they were minimalist enough for a hot yoga class but I didn't feel like I was wearing short-shorts. The waist is all elastic without a drawstring, so it fits flat against the abdomen without riding up or sliding down when you go into a standing pose. The fit is tight enough that I never worried about flashing someone going up into a handstand or wide-legged forward fold. The fabric is incredibly soft because it's a promodal blend. These pants feel like your favorite t-shirt. When I say these fit tightly, I mean they fit tightly. If you're self-conscious about form fitting pants, avoid these. They don't have a liner, so every seam of your boxers underneath will be highlighted. The fabric is thin. While this is ideal in hot yoga classes, it's thin enough that the fabric becomes very clingy when it's wet. I recommend ordering black to minimize this phenomenon. If you're looking for a pair of shorts you can workout in anywhere, these are definitely not it. I wore them to yoga a few times, but I ended up giving them the role sleeping in or doing yoga at home because they're so form fitting. The natural hemp blend is perfect for wicking sweat without using synthetic materials. If natural materials or sustainable practices are important to you, these pants fit that criteria. Hemp is very lightweight, so no matter how much of a sweat I worked up, I didn't feel like I was ever cloaked in fabric or overheated because of what I was wearing. The drawstring waist allows for a customizable fit without being uncomfortable. The drawstring is wider so I didn't feel like I was being sliced in half when I was folding over. The cut is very forgiving. I can't quite get to a full splits yet, but there's enough give that I'm not worried about the crotch portion cutting into me during advanced poses. Unlike a lot of yoga shorts, these actually have deep pockets for stashing my wallet, cash, or phone if I'm heading out for a coffee or lunch after class. These run small. I'm a pretty solid size large, but I had to go up to an XL and even then they were just barely the right fit. Always order up a size. prAna is known for their clothes running small, and if you order online, it could take a while to get your new pair. There isn't an XS size. Since the sizes seem to be fairly inaccurate anyways, this probably isn't an issue unless you're purchasing these for a particularly trim teenager. If you're used to practicing in fabrics that have a lot of give, this blend will be difficult to get used to. While the cut is forgiving, there isn't much give around the hips or groin area. This shouldn't be an issue if you're able to size up without the pants becoming too big on the waist. I didn't sit down and try to think which of these pants I liked the best. I simply ran them through my regular gym/yoga routine and kept track of which pair I wore the most. The Lululemon pants, much to my wallet's chagrin, were the top winner. The style is so versatile that I was able to justify the cost simply on how much I was using them. Other yoga pants/shorts looked like they were something I'd wear in yoga class, and while that's cute on women, it isn't that attractive on men for a variety of reasons. I wanted something that was functional for my practice but still something I could wear to lift weights or run in. 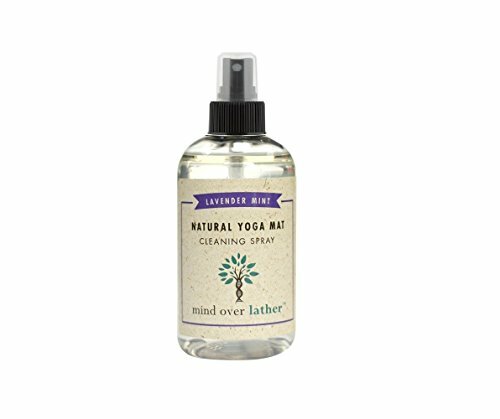 The Luon material quickly absorbs sweat, and I never felt soaked even after a 90-minute heated vinyasa class. The length was just right on me, and the pants settled comfortably around my ankles. The waist was odd with the small pocket, but it didn't make the wider waistband any less comfortable. Alright, that's it form me. What are your favorite yoga pants? Let me know in the comments!